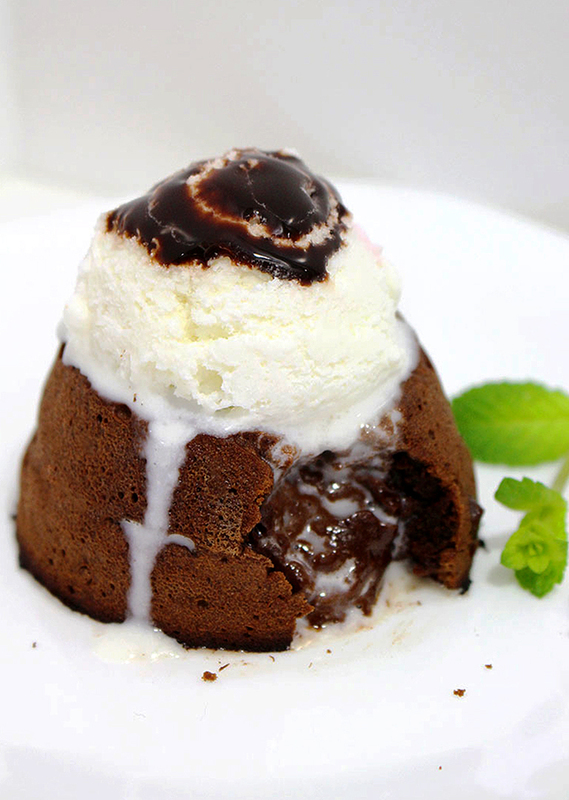 Surprise your loved ones.. with this romantic Chocolate Lava Cake you will tell them how much you care, because this cake is like love – sweet, warm and overwhelming! However, for this wonderful dessert you do not need any particular day or the occasion. Make it any day and, it will still be a special day! So Fast so Easy so Delicious ~ Chocolate Suoffle’ ~ with Vanilla Ice Cream. Regardless of its origin this cake is a favorite all over the world, due to its fineness, but also because of a very simple and extremely quick preparation. In its center is the hot liquid heart which is beating for a bite. If you love chocolate make this easy and delicious little cake. 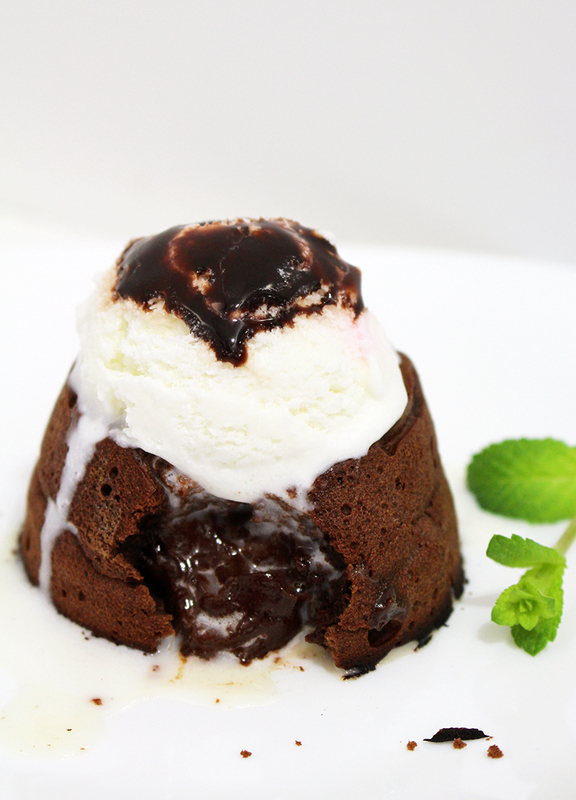 Surprise your loved ones.. with this romantic Chocolate Lava Cake you will tell them how much you care, because this cake is like love - sweet, warm and overwhelming! In medium size sauce pan melt chocolate and the rest of butter on the low temperature, whisking constantly until smooth texture. Whisk the egg in separate bowl with sugar and flour. Mix chocolate and eggs until well combine. Bake for 7 minutes. A half of minute can make big difference, so keep an eye on cakes. Serve with ice cream - vanilla - hiiighly recommended. You can also add some well chilled cherries or raspberries.